The main task of Nolvadex is to reduce the level of estrogen in the blood of a person, which can be too high after passing a steroid cycle. In addition to this study, the effectiveness of Nolvadex for various tumor diseases, particularly in breast cancer, is confirmed. 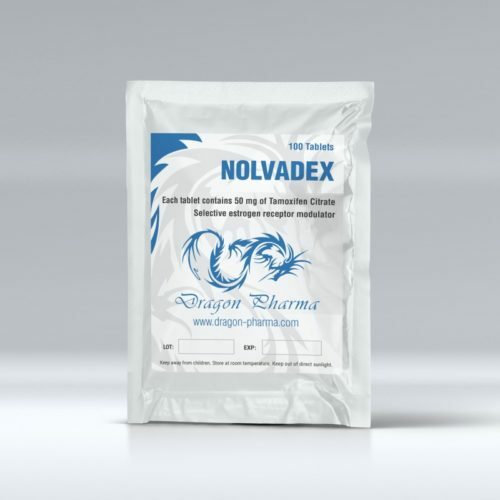 In the sports world, Nolvadex is primarily for those athletes who need to restore their natural Testosterone levels. When Nolvadex enters the body, it begins to affect the estrogen receptors, it acts as well as estrogens. After Nolvadex enters the tumor cells, the action of estrogen is suppressed. Nolvadex is an antitumor hormone that also functions as a hormone antagonist. Nolvadex is supplied in the form of a crystalline powder that does not have an odor, but its dissolution in water is practically impossible. Keep Nolvadex in a dark and dry place out of the reach of children. Usually, experts recommend taking a PCT with Nolvadex drug for 3-4 weeks, although there are cases when doctors prescribe a longer course until the regression process begins. A day usually take no more than 40 mg of the drug, and a complete excretion from the body takes place within 1 week. To increase the effectiveness of Nolvadex, it can be combined with other drugs, but such combinations should be done only after the doctor’s recommendations.